In 21 case studies, the EUKI project BEACON evaluated national climate policies in European countries. 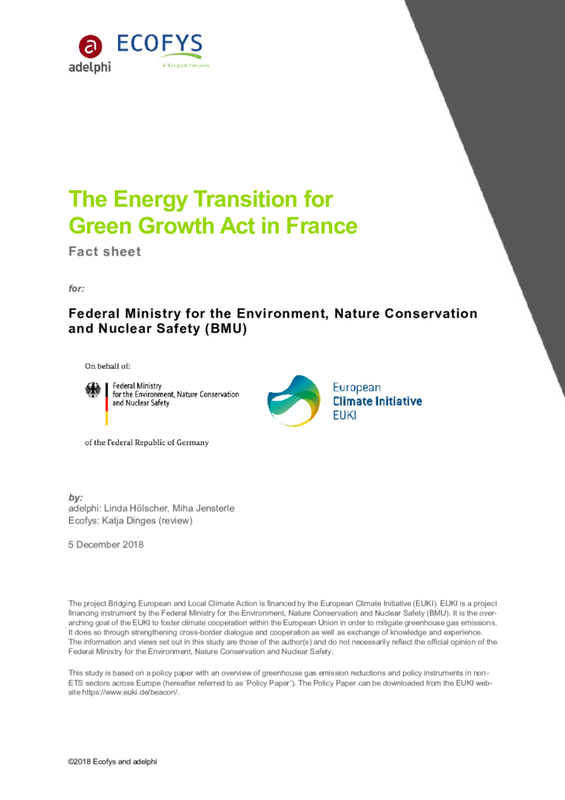 The ‘Loi relative à la transition énergétique pour la croissance verte’ (LTECV) or Energy Transition Act is a recent French climate law, building on previous climate and energy legislation and establishing a comprehensive list of targets and measures extending beyond a pure climate framework law. It is a vast legal document incorporating not only matters relating to climate change mitigation, but general policy pathways towards low-carbon economic development. These provisions range from compliance and reporting mechanisms, to detailed methods of governance, to green innovation incentives and retro-fitting subsidies.